What is colitis in cats? Feline colitis is a chronic bowel disease resulting from inflammation of the colon. The colon, also known as the large intestine or large bowel, is the lower part of the digestive tract which is responsible for the final stages of the digestive process. The colon stores and removes water from the faeces (poo) prior to their elimination from the body. When the lining of the colon becomes irritated and inflamed, the colon’s ability to absorb water from the faeces is disrupted, resulting in loose, watery and sometimes bloody faeces. Colitis in cats can be acute, coming on suddenly and lasting only a few days, chronic, lasting for at least two to three weeks, or episodic, coming and going over time. Occasional bouts of acute colitis are fairly common in cats and usually resolve on their own. However, it is important to look out for frequent recurrence or worsening of the condition. Chronic feline colitis is more common in middle-aged and older cats and is often associated with an underlying medical condition. 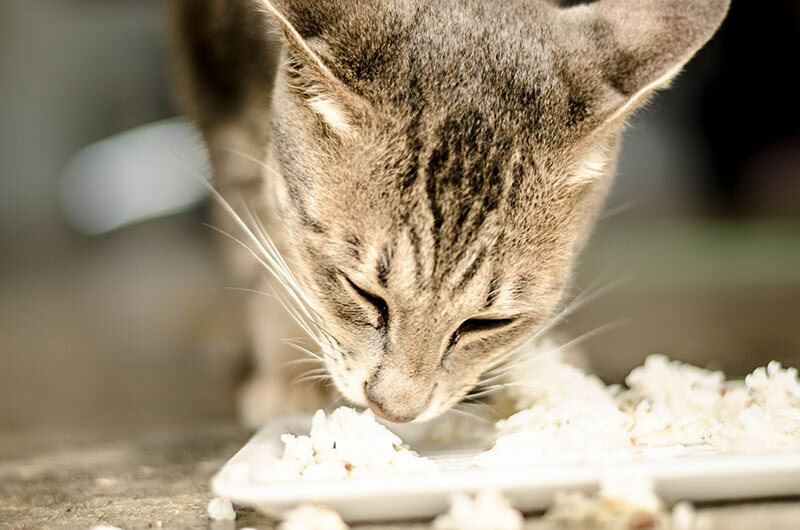 Inflammation of the colon can be triggered by a wide-range of factors, from ingesting human food products to parasites and funguses in the cat’s gastrointestinal tract. There are also certain diseases, such as hyperthyroidism and diabetes, that can cause or contribute to colitis in cats. It is essential to identify the specific cause in each case of feline colitis, so that appropriate diagnosis and treatment can follow. How is colitis in cats diagnosed? If a bout of diarrhoea lasts for longer than a few days, or if diarrhoea becomes a recurring issue, it is essential to take your cat to the vet to investigate why. Colitis is a complicated condition that requires an accurate diagnosis before effective treatment can commence. Other illnesses may cause similar clinical symptoms, and these should be considered when a cat is evaluated for colitis. The outlook for cats with colitis varies greatly, depending on the cause of the condition and the effectiveness of the treatment provided. If the cause is eliminated or effectively managed, the prognosis for long-term control is good. Most infectious causes of colitis are curable. However, if treatment does not resolve the cat’s colitis, colon cancer or another serious illness or disorder might be involved, which greatly alters the prognosis. The therapeutic goals of treatment for feline colitis are to relieve pain and discomfort, and to restore normal bowel function. If there is an underlying medical condition which is causing colitis or colitis-type symptoms, this will need to be identified and treated. The choice of treatment will depend on the causes of the inflammation and the frequency and severity of symptoms. Acute colitis often resolves itself in a few days without requiring treatment; however, chronic or episodic colitis almost always requires medical attention. Where the cause is an infection or parasite, colitis can be cured, but generally, it can only be controlled through appropriate medical management and dietary modification. Hospitalisation may be required if the colitis is severe, particularly diarrhoea, which can cause dangerous dehydration that requires treatment with intravenous fluid and electrolyte replacement. 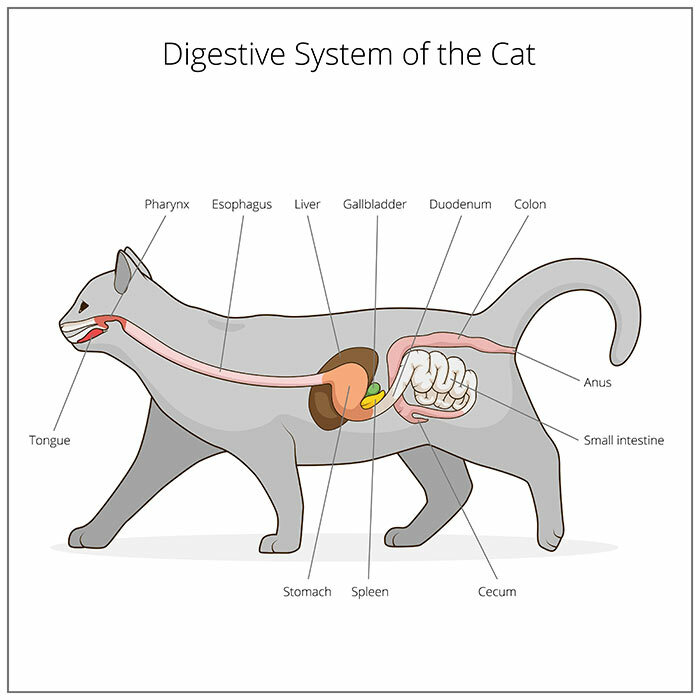 Colitis in cats occurs when the colon is inflamed, usually resulting in pain and discomfort. Colitis can either be chronic, lasting for long periods of time, or acute, occurring for just a few days and resolving on its own without treatment. One of the main symptoms of colitis is diarrhoea, or loose and watery stools. Colitis is a complicated condition that requires an accurate diagnosis before effective treatment can commence. Your vet will perform a physical examination and do a combination of tests to identify the cause. Treatment in most cases entails dietary modification and /or medication.